You can build your relationship while your spouse is in love with another person as long as you keep good boundaries to prevent your spouse from having his or cake and eating it too. Building first is particularly necessary if your relationship has become very strained or distant. You can’t just build without boundaries, however. If you don’t have boundaries, your spouse won’t be motivated to give up the affair, but will simply enjoy having an affair while having you, too. Balancing boundaries with connection is the major challenge in ending an affair. The better you are with both boundary skills and connection skills, the greater your chances of successfully ending your spouse’s affair and reconciling. When you discover the affair, you will need to give your spouse a choice between continuing a relationship with the other person or with you. You will tell your spouse that you love him or her and hope that he or she would choose to build a great relationship with you. You would also clarify that it will not work for the both of you to continue together should he or she continue to have contact with the other person. This combines both a loving message with a good boundary. This is the most common scenario and is not to be feared. It will create further opportunities for connection, if handled with both a loving attitude and good boundaries. Cooperatively work with your spouse to separate custody, finances, and homes (you must live separately). This is hard, but it is the best chance you have for eventually reconciling. The alternative would be to continue to live with your spouse while the affair continues. Your spouse would have no reason to give up the affair AND would continue to emotionally distance from you–making any efforts at reconnecting fail. Getting the appropriate coaching or counseling at this time will help you to maintain good separation boundaries. The main benefit of coaching is in learning good connection skills. 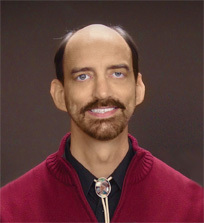 Counseling has the main benefit of providing emotional support. Honestly consider which would be best for you. For now, it will be in your best interest to just listen to your spouse’s story, without responding. Don’t simply listen and respond immediately. If you do that, you will either fight or be manipulated. Fighting will disconnect. Manipulation will lose you respect. Listen, think, and then respond. You maintain a serious, but non-committal tone and are going for your spouse’s response. Hopefully, your spouse will have an internal reaction of “I’d better lay out the truth here.” Also, don’t get sucked into providing proof of the affair. As long as you have sufficient proof for yourself, that is enough. The hardest part of listening is not thinking about a dozen things while your spouse is talking. Bite your tongue and listen as well as you can without thinking about other things. Since you won’t be giving a response, it will help you not to mentally form arguments and accusations. As long as you are focused on listening, there won’t be an argument. Although you will want to ask a lot of questions, this first time is NOT the time to do that. Now is the time to think. Later will be the time to talk. Your spouse will be very stressed, but don’t worry about that. 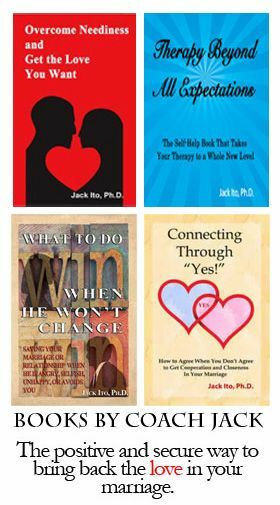 As I detail in my book, Connecting through “Yes!” you will need to find something to agree with to start the connection process. Although you can’t agree with the affair, you can probably agree that your relationship had become much more distant even before your spouse’s affair. You can also agree that had it gone on like that long enough, you may have been tempted to connect with someone else as well. If you have confronted your spouse about the affair, your spouse has chosen you, and you have started to reconnect, marriage counseling is a good next step. The counselor will help you both to continue to build your marriage and make it satisfying for both of you. Although your spouse may have chosen you, his or her feelings for the other person may still be strong. Anger and confusion are typical and you can easily be drawn into conflict so that your spouse can justify restarting his or her affair. 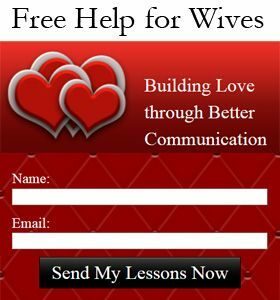 Learning on your own how to create connection with your spouse is going to work better than trying to get him or her into counseling at this time. This is your best choice when your spouse is reluctant to go to marriage counseling or when you are having difficulty establishing an emotional connection. Many times the relationship improves so much with individual coaching that couple’s counseling is not necessary. Whether or not marriage counseling needs to follow individual coaching depends on any remaining unresolved issues. Working on those issues will be much easier as a result of the connection made through learning connection skills in individual coaching. Just because you feel that way now, doesn’t mean it will always be that way. Our feelings of love shut down and get replaced by anger when we need to protect ourselves from hurt. No one who has been the victim of an affair is going to just have loving feelings toward their spouse. But, I have seen many people’s love rekindle greatly when the need to protect is over and they are both working together. Be patient with yourself. You don’t need to feel pressured to love again. Just be careful not to be intentionally hurtful to your spouse, because that won’t really help. Be strong and also try to understand what your spouse really needed and got from the affair. As you become closer, your loving feelings can come back. Many affairs happen after a marriage has become an unhappy one for both people. As stressful as an affair is, it is also an opportunity for starting over and building a more satisfying relationship for both of you. Before that can happen, some connection must be made, boundaries put in place, and a choice given. Although a scary process, there really are no alternatives that result in reconciling. To do this successfully, you must not let either anger or neediness get the best of you. If you are living with your spouse who is currently having an affair, you will want help to separate and create conditions for rebuilding your relationship. You are painfully aware that your current situation is not going to result in ending his or her affair. 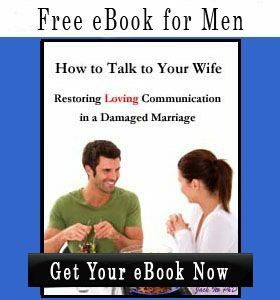 On the other hand, if you are already separated, you will want help to use good connection skills to help your spouse to enjoy you again. Here is more information on coaching to end a spouse’s affair.